Free admission. Open March — October 2013 during all library hours in the Level 3 Gallery. This exhibition in the Harold B. Lee Library traces the origin of the idea of national parks back to the leading poet of the English Romantic Movement, William Wordsworth. Wordsworth inspired millions of hikers, climbers and artists as well as later American authors such as Ralph Waldo Emerson, Henry David Thoreau, and John Muir. 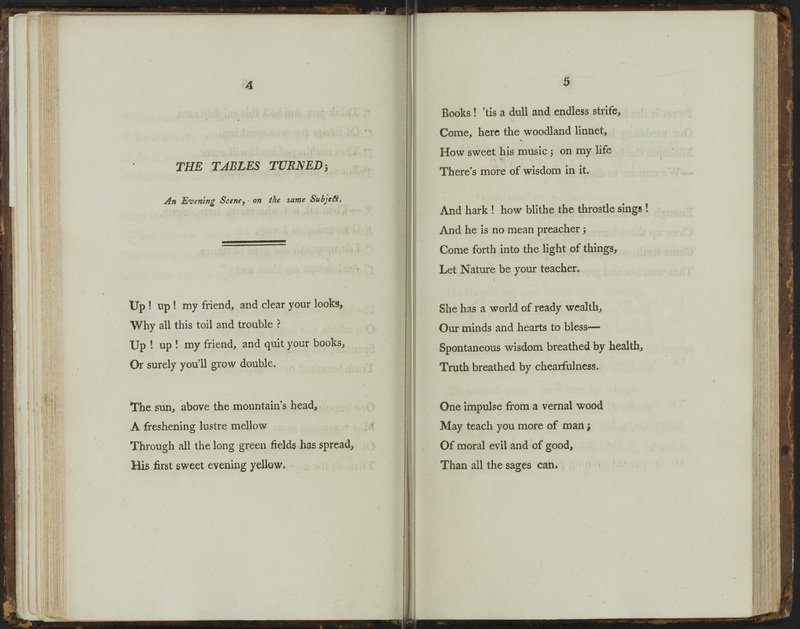 The library’s exhibition includes both Wordsworth’s writing and examples of those who followed him. 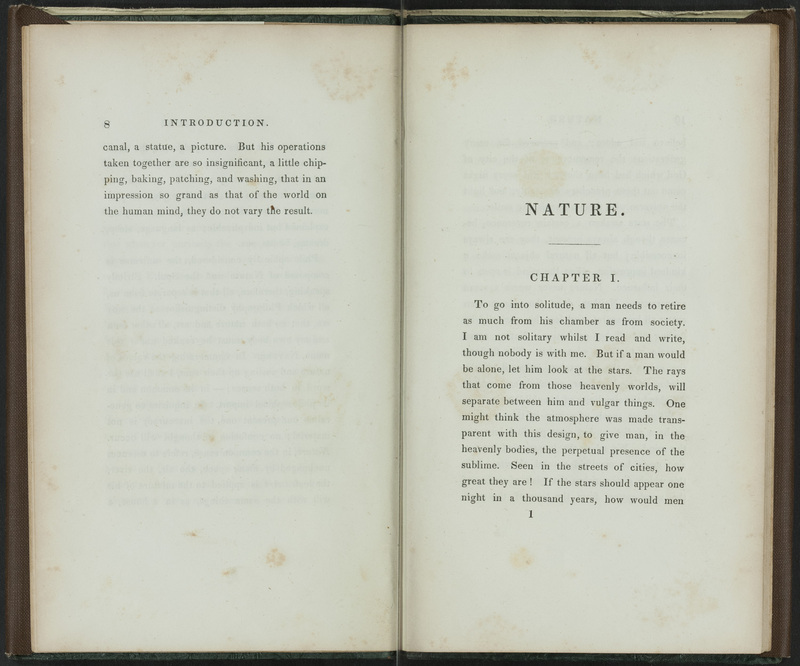 On display, in addition to Wordsworth’s Lyrical Ballads and A Guide through the District of the Lakes in the North of England, are first editions of Emerson’s Nature, Thoreau’s Walden, and Whitman’s Leaves of Grass. 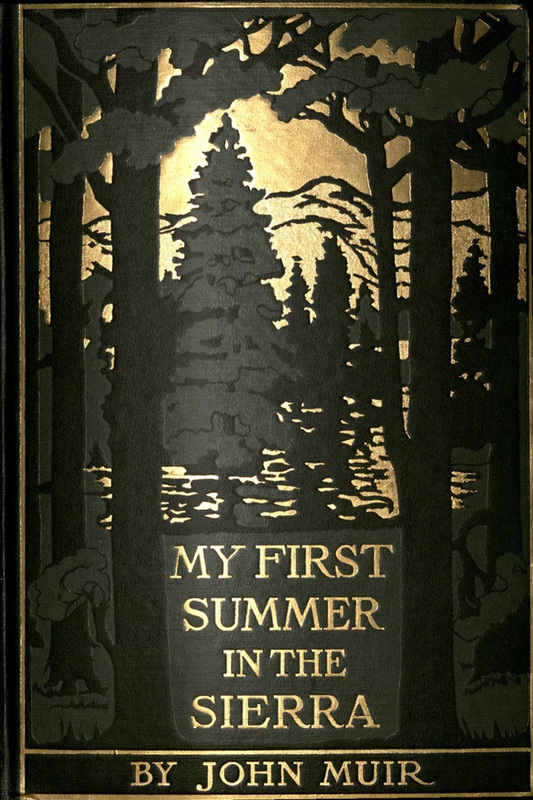 Also presented are John Muir’s Our National Parks and My First Summer in the Sierra, as well as examples of influential nature writing connected with Utah and its national parks. 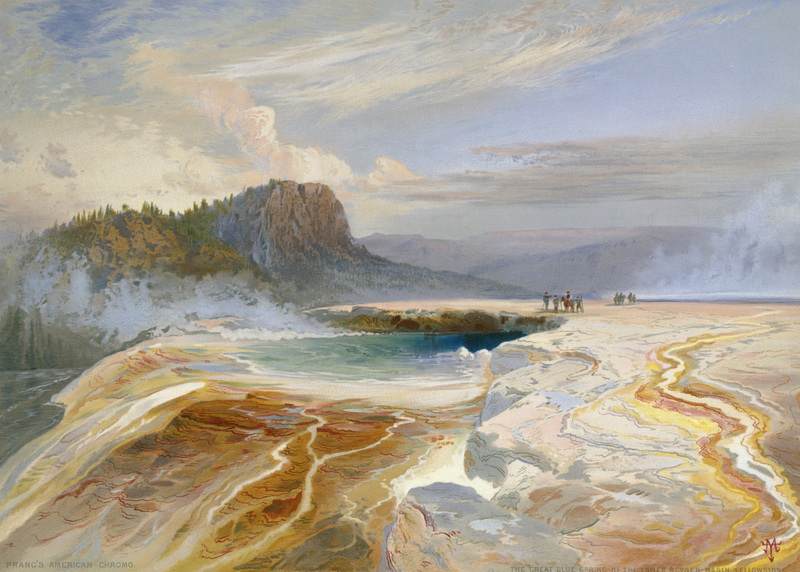 En route, visitors will see various treasures of visual art, including a rare Thomas Moran lithograph of Yellowstone and Ansel Adams photographs of the Yosemite Valley. William Wordsworth and the Invention of National Parks is located on level 3, the main level of the library. Admission is free and it is open during all library hours. It will be in place until October 2013. Below are transcriptions from the four main panels of the exhibit along with their related case items. 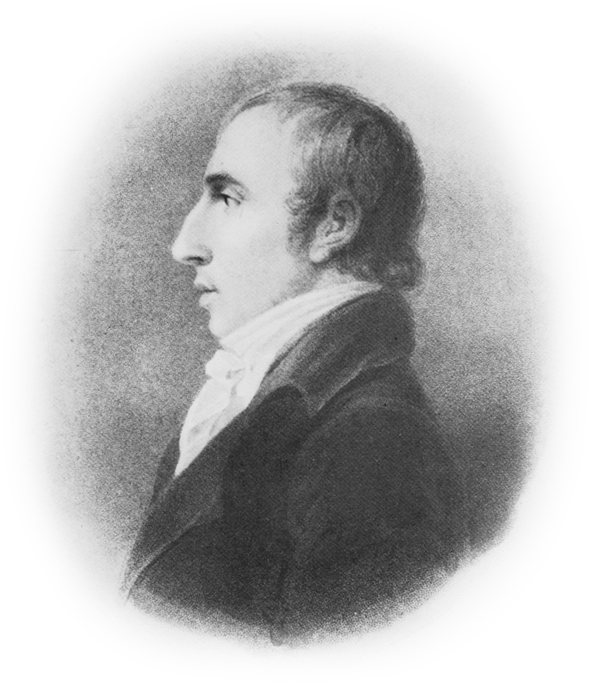 William Wordsworth (1770–1850) was the leading poet of the English Romantic Movement and Poet Laureate of the United Kingdom from 1843 until his death. Wordsworth was born in the Lake District, a scenic mountainous region in England’s northwest. He lived there for most of his life, making the region an integral part of his identity and his work. He loved to walk among the hills, lakes, and streams, and he wrote vividly about his experiences to the point that lovers of his poetry still find it easy to retrace his steps. Thanks in part to his legacy, Lake District National Park, the largest in England, was established in 1951. In his long career, Wordsworth published hundreds of poems on many topics, but he became especially distinguished for his nature poetry. 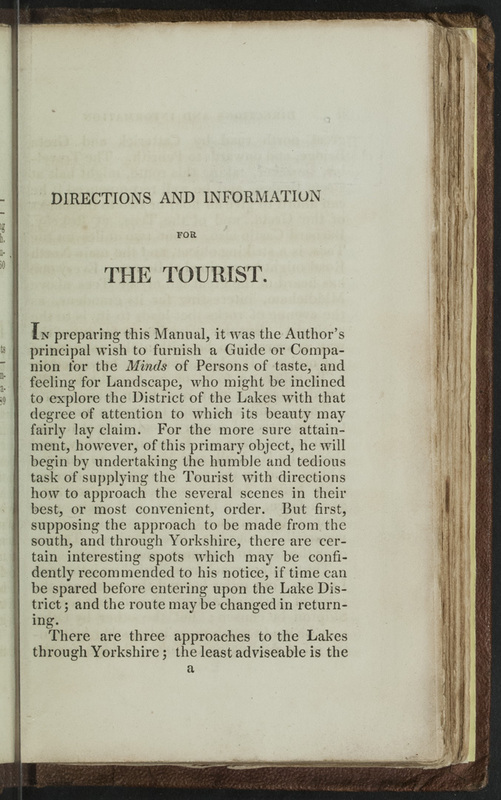 People before Wordsworth valued landscape, but Wordsworth added to the appreciation of scenery a call for its conservation. He argued that, in a special moral sense, the countryside belonged to everyone, regardless of who might own legal title to it. 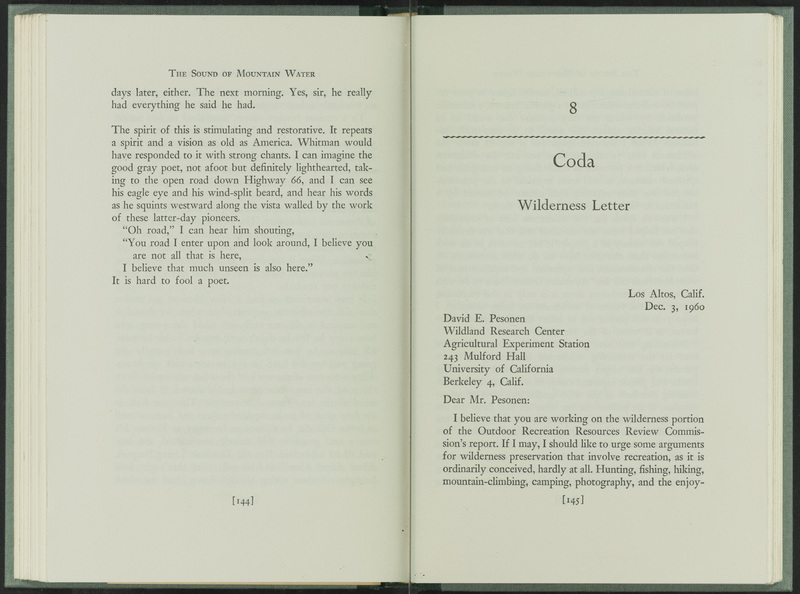 Nature writing is one of America’s greatest contributions to world literature. Its most influential flowering occurred in the mid 1800s, led by geniuses like Ralph Waldo Emerson and Henry David Thoreau. 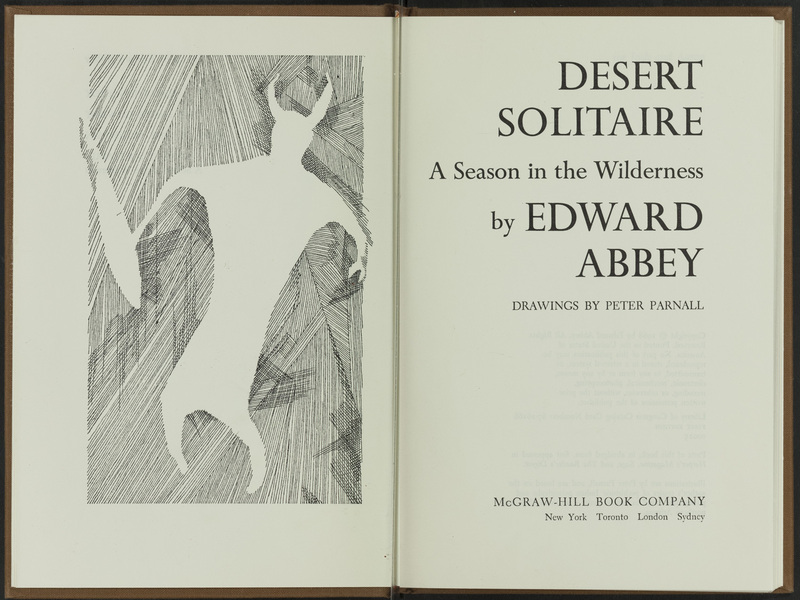 Their work led the way for such great writers as John Muir, Aldo Leopold, Edward Abbey, and many others right up to the present. 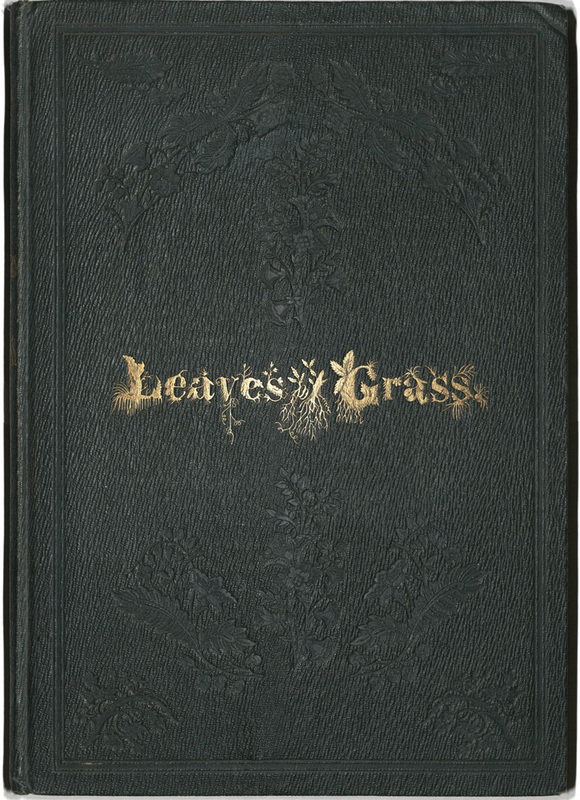 Our display cases contain several gems from the library’s American literature collections: first editions of Emerson’s Nature, Thoreau’s Walden, and Walt Whitman’s Leaves of Grass. 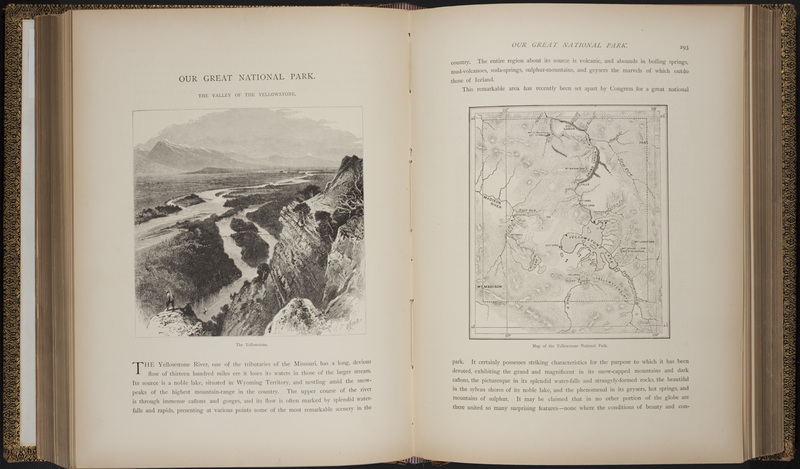 Also displayed is John Muir’s 1901 Our National Parks. Each of these books is distinctly American, yet each also manifests a debt to Wordsworth and the transatlantic Romantic tradition. All of these American writers grew up on Wordsworth’s writings. Emerson even visited the aged poet in 1833, and his Nature was in some ways an attempt to complete Wordsworth’s work. 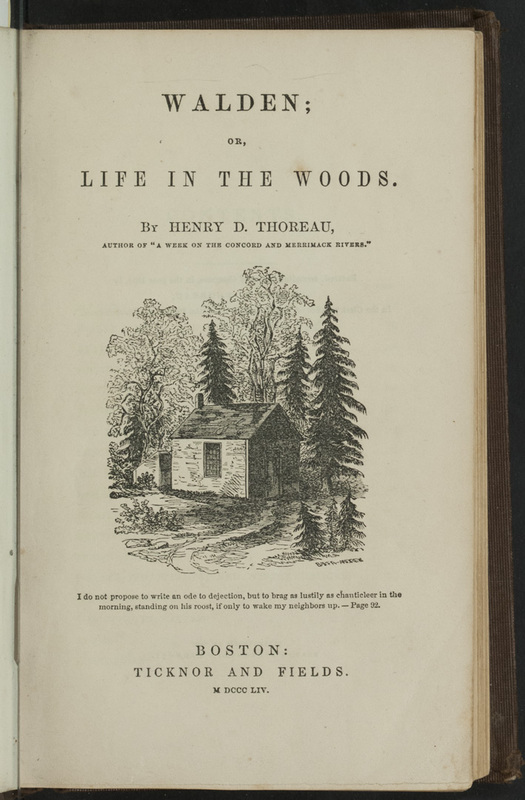 Nature, in turn, became a major influence on Thoreau’s Walden. Highlighting Wordsworth’s mark on American literature underscores the global nature of environmental concerns and the close relationship between the English-speaking cultures. It seems fitting that John Muir, the “father of America’s national parks,” was actually born in Scotland. His writings constantly refer to Emerson and Thoreau, but they also turn often to the poetry of his countryman, Robert Burns, and to Wordsworth, whom he regarded as a prophet of nature for the modern age. Ethics of earth stewardship run deep in the world’s religions, and reverence for creation is as old as humanity. Still, the modern world could mount no serious effort to preserve “nature” until people perceived it to be under threat, and that moment did not really come until the age of global travel and Industrial Revolution—somewhere around Wordsworth’s lifetime. Wilderness is a luxury enjoyed only by relatively affluent and advanced societies. People struggling to survive rarely walk in meadows or scale mountains for leisure. 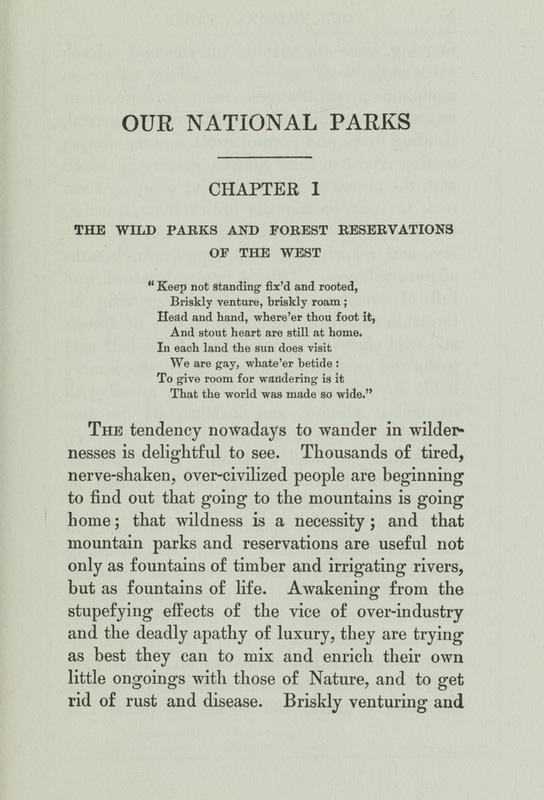 But in a time where people increasingly lived in cities and had their basic needs met, it became possible to think of wilderness as a place that could restore bodies and spirits worn down by the conditions of modern life. Wild places took on the powerful attractions of contrast. It is no coincidence, then, that Wordsworth’s generation produced not only a boom in nature poetry, but also an unprecedented flowering of landscape art and outdoor sports like hiking and climbing. Free admission. Open March — October 2013 during all library hours.